Simplify language concepts using this 9 piece display poster set and its fun, colour-coded examples. 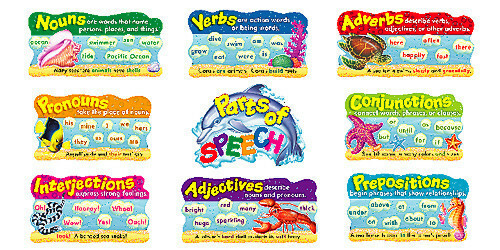 Sometimes a difficult subject to teach, these posters reinforce language definitions and make a useful and colourful classroom display. Discovery Guide included filled with information, games and suggested teaching activities.